Every Child a Maker @makerfaire « Adafruit Industries – Makers, hackers, artists, designers and engineers! AnnMarie talked about the work of the Maker Education Initiative, focusing on developing the people, places and practices that will allow more children the opportunity to be makers. 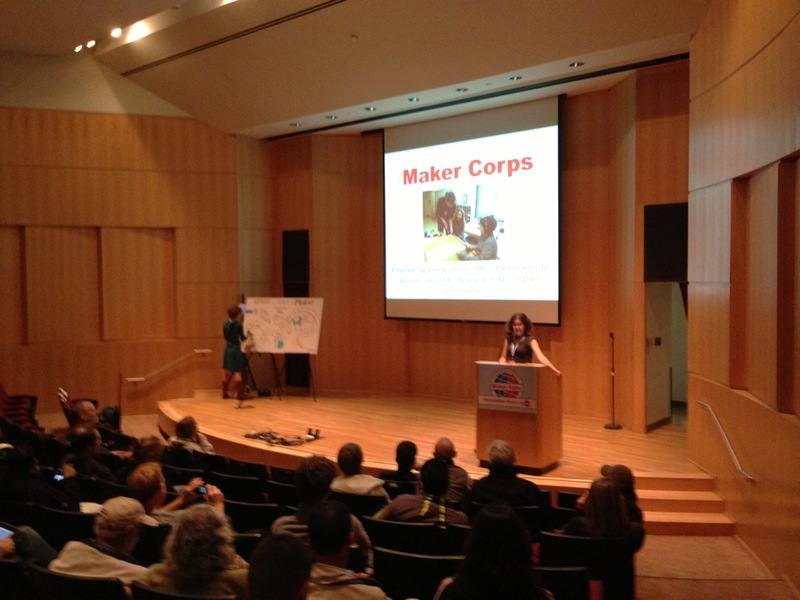 Supporting the next generation of makers is an endeavor that has a role for everyone! The mission of the Maker Education Initiative is to create more opportunities for young people to make, and, by making, build confidence, foster creativity, and spark interest in science, technology, engineering, math, the arts—and learning as a whole. We want young people to join—and eventually lead—the growing Maker Movement.